This week it’s a return to the world of food and drink for the last few interviews of the Saturday Spotlight series. It’s been such a fabulous year and I’ve really enjoyed discovering some of the very best companies in the Cotswolds but all good things must come to an end. However……….panic not, the good news is that I have a BRAND NEW series lined up with some amazing guests so make sure you watch this space for more info! In the meantime, please welcome today’s fabulous guest to the Lady Janey sofa, the lovely Anna Garrod from the Coconut Tree Cheltenham. First impressions at The Coconut Tree: warm, genuine, friendly, homely, easy going and fun with ‘Everyone welcome to the table.’ It’s a place to be yourself, kick off your shoes, laugh, chat, eat and live life to the full in the company of others. Just five minutes into our chat and we were laughing like we’d known each other for years. As for the food, it’s authentic, tasty, affordable Sri Lankan street food at its very best with dishes as hot or as mild as you wish and a mix of small dishes and mains all with a wealth of flavours, freshly cooked and ‘As it comes from the kitchen.’ The origins of The Coconut Tree are explained in its story and start with a group of friends relocating to Cheltenham in 2016 and simply finding a home above a pub. But then an idea was born with ‘Calls made to mums in Ceylon for secret recipes, (mums in Sri Lanka always cook for the masses, so it’s helpful for multiplying recipes in a restaurant) and Dads busy loading ships with furniture they had made by hand.’ The look and feel of brand values were created and ‘We were soon in business. We were born making food an occasion. It’s always big. There is a saying back home: Lay an extra place at the table – always have room for an unexpected guest.’ Well there was certainly a welcome place for me and I can’t wait for my next visit already. 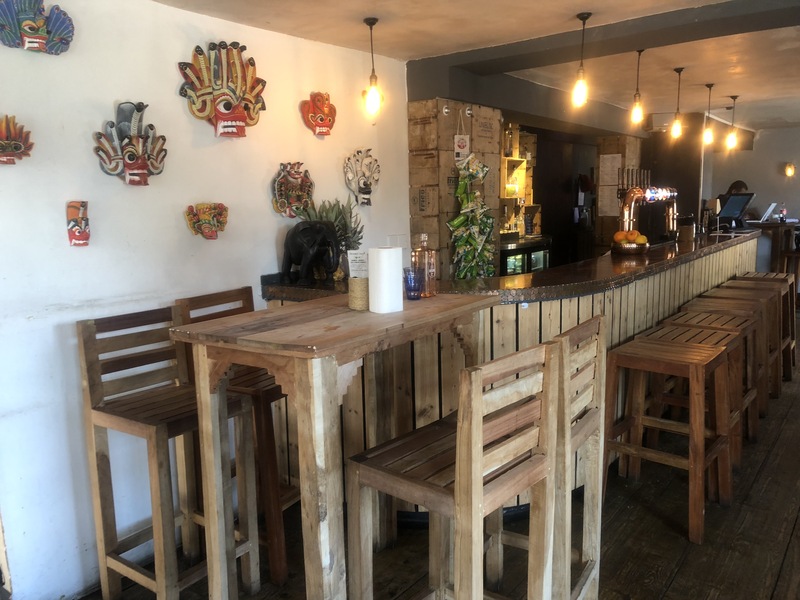 There is such a wide demographic in Cheltenham and The Coconut Tree is able to offer a combination of experiences to suit a variety of tastes. 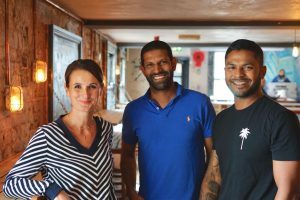 There are now three ‘branches’ of The Cocount Tree in Cheltenham, Bristol and Oxford but it remains an independent boutique restaurant group with each of the restaurants maintaining their own unique styles. I asked Anna about what made The Coconut Tree so special and she said ‘It’s all about being authentic and making sure we have all the right chefs in the right kitchens……… with 82 year old Granny Gertie checking over each and every one of the traditional family recipes. ‘ Anna went on to say that it’s a ‘Restaurant for everyone but with affordable food’. Sri Lankan cuisine is simple in its essence but is executed brilliantly. 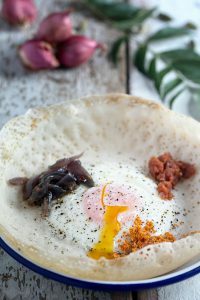 Each of the dishes can be paired with cocktails as per The Coconut Tree’s ‘Cocotails,’ which blend ‘Sweet and fiery flavours from turmeric to coffee.’ There’s also the ‘The Drunken Sri Lankan’ served in the team’s favourite ceramic elephant ‘Ruby,’ helping raise awareness of Elephant rescue & care and the ‘Coconut for 2’ served in a vessel which is designed and hand make in Sri Lanka. 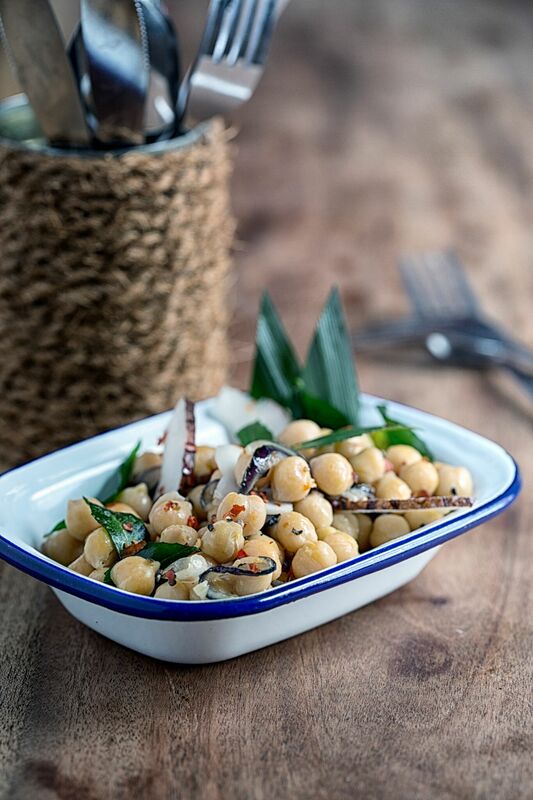 If all this isn’t already enough to tempt you to visit then maybe The Coconut Tree mantra will do the trick! 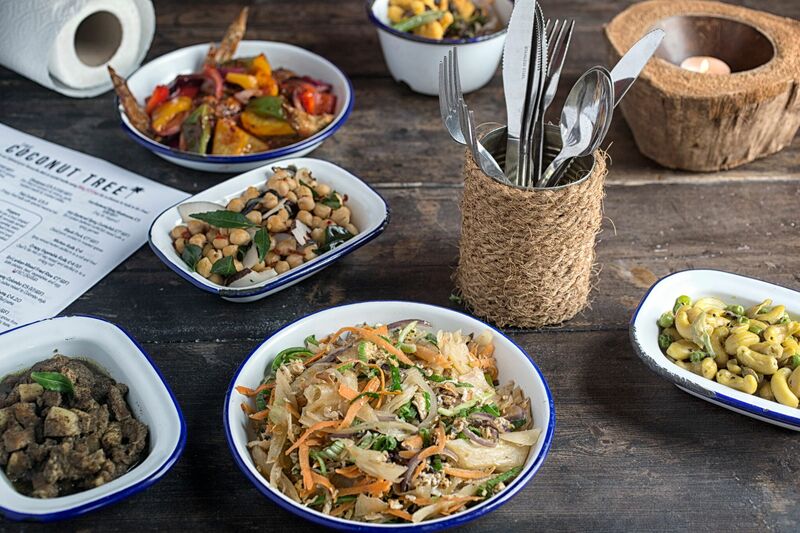 Far too often when we eat out, we feel the need to dress up, walk the walk and talk the talk but not at The Coconut Tree where just about anything goes and variety is most definitely the spice of life! 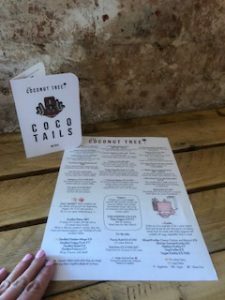 With an impressive list of awards and accolades like the following to its name, The Coconut Tree will definitely be my restaurant of choice for some time to come. How about you? 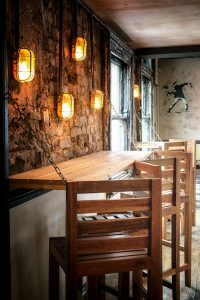 No1 on Trip Advisor within four months of opening first restaurant. 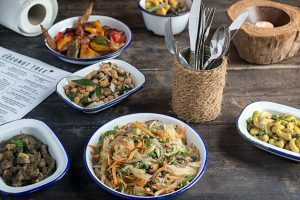 Taste of Gloucestershire Food & Farming Awards 2018: WINNER of ‘The Peoples Choice Award’ – Best Restaurant. Bristol Life Awards – Finalist 2019 ‘Best Bristol Business’. 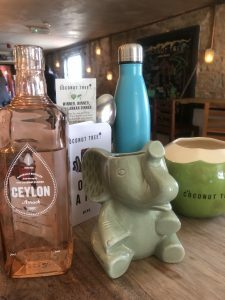 If you’d like to find out more about The Coconut Tree then you can take a look at the website and you can also find it on Facebook, Twitter and Instagram. 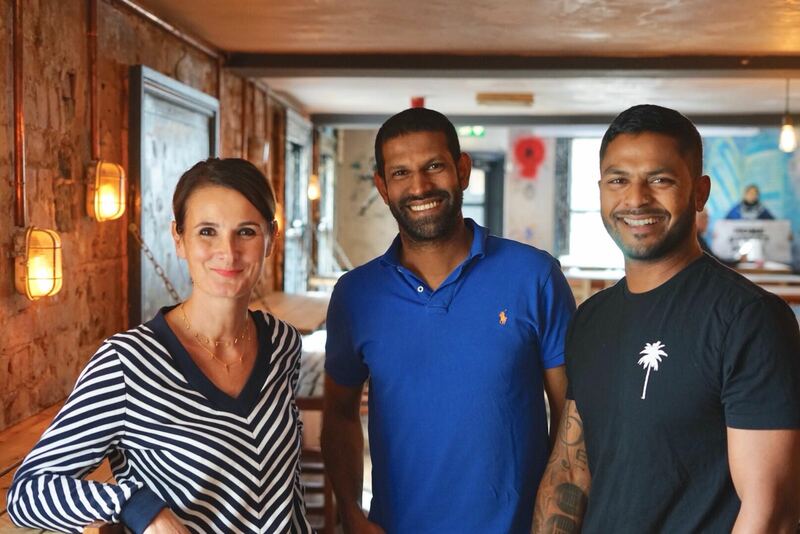 Thank you to Anna for chatting to me today on Saturday Spotlight and for the amazing opportunity to sample a range of The Coconut Tree’s even more amazing dishes with natural Sri Lankan flavours and spices. Surely life just can’t get much better than this!